TOP 10: Corrections to Peter Kreeft’s Contemporary Philosophy List! Rembrandt, because I didn’t want to use Raphael. There are plenty of interesting things on Brandon Vogt’s website. They certainly have given me plenty of food for thought. 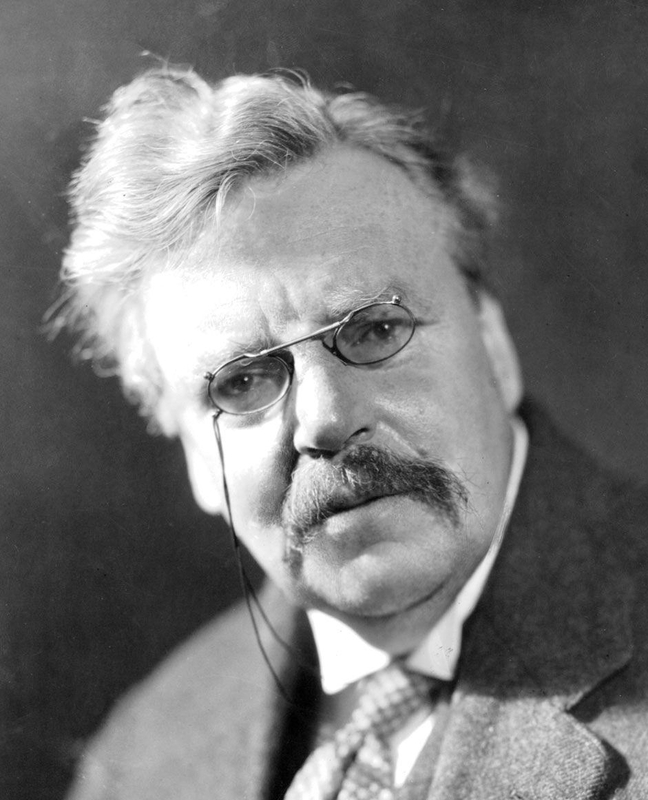 For example, I deeply appreciate the G.K. Chesterton video he posted not too long ago. It gave me a new, if somewhat idiosyncratic, vantage point on the always troubled Christian-Muslim relations here (join the conversation). Brandon also recently posted a list of books that was recommended to him by none other than Peter Kreeft. Kreeft is a wonderful popularizer of classical philosophy and theology. Ancient Athens and Medieval Christendom are where the Boston College philosopher feels most at home. I’d like to argue later that he’s a little bit iffy when it comes to more recent philosophy. The footnotes in the A Shorter Summa are indispensable for beginning to understand the Aristotelian-Thomistic idiom. My copy is all marked up. This book is well worth your time. 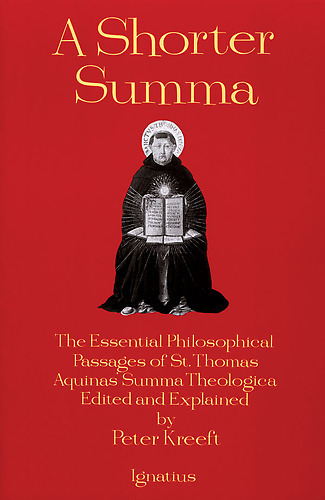 St. Thomas Aquinas, Summa Theologiae, at least I,2,3 (“On God’s Existence”) and I-II,2 (“On Things in which Man’s Happiness Consists”). These and more, with explanatory notes, are included in [Kreeft’s] A Shorter Summa. “But surely that than which a greater cannot be thought cannot be only in the understanding. 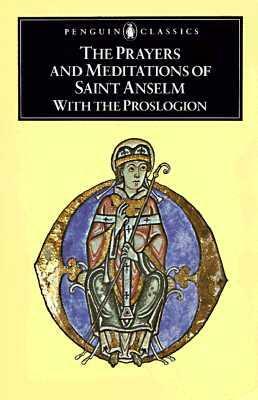 For if it were only in the understanding, it could be thought to exist also in reality,” says Anselm in the Proslogion. And really, I can’t think of the better introductory medieval list than the one given by Kreeft above. The ancient and modern lists in Brandon’s post are just as solid as this medieval one. Even the author of Orthodoxy is a little shocked by this rather unorthodox list of “contemporary” philosophers. I agree with the choice of Sartre, Marx, and William James for the basic list. Then again, The Varieties of Religious experience is a much more fundamental William James text for both philosophy and the study of religion. In fact, it’s one of the texts that brought serious study of religion back into the mainstream of academic culture. Varieties is still the departure point for most work done in religious studies. It’s the one book you must agree with, or quarrel with. Pascal belongs in the modern list, whereas C.S. Lewis does not belong at all. Lewis is a first-rate popularizer, but he does not belong on a list of basic or supplementary “contemporary” philosophical texts. This means I’ll have to nominate two replacements for the basic list of contemporary authors. Actually, make that three, because Nietzsche is much more deserving of a position on such a list than Sartre. Nietzsche: You might as well dive into the Nietzsche Reader if you want to understand his influence on key modern thinkers like Sartre, Heidegger, but also upon contemporary theology. The selections in this collection are first rate and Hollingdale writes a mean introduction. Heidegger, Being and Time: Pure and simple, it’s the most important philosophical treatise of the 20th century. What’s even better? Heidegger borrows half of his concepts from theology–and then tries to unsuccessfully conceal them. You may not ignore this book and I must finally read it in its entirety! 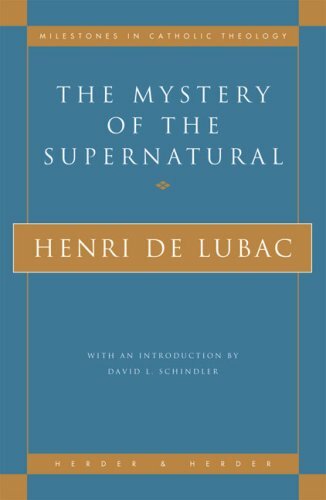 Henri de Lubac’s The Mystery of the Supernatural is, hands down, the most obvious replacement for Lewis. This tome is perhaps the single most influential theology book of the 20th century. It helped to disentangle theology from modern philosophical adulterations of Thomism. De Lubac shaped the agenda for both Vatican II and the critiques of its implementation with this book and several others. The Mystery of the Supernatural has influenced you even if you know nothing about it. Mill is probably the only second stringer on Kreeft’s additional list that deserves to definitively remain there. We can feel the deleterious effect of his philosophy upon every aspect of our lives. The others, not so much. Ludwig Wittgenstein, Philosophical Investigations: Wittgenstein totally revamped the conclusions he reached in the influential Tractatus in the Investigations. What’s more, he has played an important role in reinvigorating theology as Fergus Kerr has argued in his Theology After Wittgenstein, which, by the way, contains one of the most creative and convincing arguments against abortion. Gabriel Marcel, The Mystery of Being, which is divided up into Volume I and Volume II. This unjustly ignored mid-century Catholic existentialist philosopher might turn out to be more pivotal to the history of philosophy than some of the other thinkers mentioned in these contemporary lists. His influence is so ubiquitous, especially among Catholics, that it’s invisible. Kierkegaard, A Kierkegaard Anthology: Kierkegaard, because if you haven’t wrestled with Kierkegaard, then you haven’t wrestled with modern philosophy (and the opportunities it holds for theology). Hans Urs von Balthasar, Glory of the Lord volume I: This book inaugurated a series of reflections that brought beauty back into the fold of both theological and philosophical reflection. It’s in a virtual tie with the de Lubac book I mentioned in the main list for “contemporary” philosophers. On another day, they could switch sides. Karl Barth’s The Epistle to the Romans could also substitute for either one of these books given its immensely positive historical influence. Now that’s more like it! As you can see, we’ve culled out most of the analytical philosophy, which is the philosophical and existential equivalent of a glorified New York Times crossword puzzle. However, if you insist on reading some philosophy of language then you must buy American. Charles Sanders Peirce has been called “the American Aristotle” by Fr. Oakes in a First Things piece that can be found here. It’s best to dip into his selected philosophical writings. 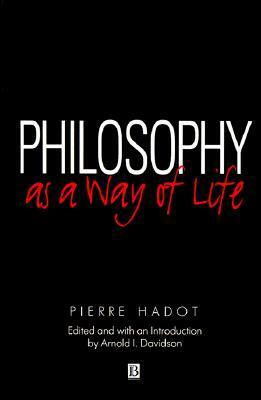 Finally, Pierre Hadot’s Philosophy as a Way of Life is a book that anyone interested in the discipline must read. It will totally transform your vision of what ancient philosophy was and what philosophy ought to be. Don’t miss out on the other TOP 10 booklists on this blog: one on religious living poets, one on living religious novelists, one on books about heaven and hell, and finally, one on recent theology books. Feeling flush and want to contribute to my cause? Send me some funds. A True Opium for the People is a Belief in Nothingness After Death! Attn: University of Notre Dame Press Overstock Sale! Good Letters – Words. Made Flesh.